Yes! It's BACK! THE MATTA FAIR is BACK! For those who haven't been to CLUB MED, you can read about my review and experience here! And for those who been to Club Med (once or many times), and if you want to go again, you can do so now with new offers at the Matta Fair. Club Med releases Travel Fair Offers with up to 45% savings for summer and winter getaways from 9 to 19 March so you can now take a romantic getaway to Club Med Kani with savings up to 45% on Overwater Suites. With new look for a new experience at Club Med Bintan Island, rejuvenate your body and soul with a wellness retreat in one of Asia’s best kept secret island. Or simply bask in the unrivalled beauty of majestic rime ice backdrop at Club Med’s newly introduced snow resorts, Beidahu in China and Tomamu in Japan. With eight long weekends and school holidays to look forward to for the rest of 2017, treat yourself and your loved ones to a well-deserved getaway to any of Club Med’s properties! From the idyllic paradise of Maldives to the dreamy ski slopes in Europe or Japan, expect nothing short of the perfect hassle-free escape to recharge at your preferred Club Med holiday destination. In conjunction with MATTA Fair KL from 17 to 19 March 2017, Club Med is offering their Premium All-Inclusive Resorts with massive savings of up to 45%. 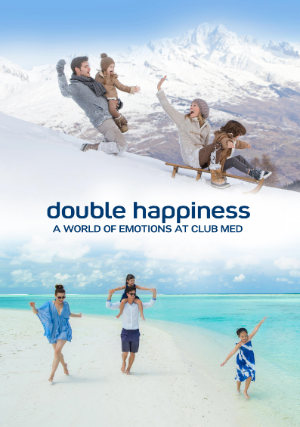 Holidays at Club Med are hassle free as essentials such as accommodation with refined comfort, gourmet meals in themed restaurants, all day snacking, free flow of signature cocktails and mocktails, activities and daily evening entertainment are included. The fuss free, everything is all-in holiday resort also offers complimentary stay for children under 4 years old and exciting activities for kids from 4 to 17 years of age. Parents can rest easy knowing that their children will be in the good hands of Club Med’s trained G.Os (Gentil Organisateurs) who will organise the available activities such as sailing, ski lessons, flying trapeze, archery and many more. Whether 4 months or 17 years old, Club Med offer activities and facilities adapted to their age, as well as to the season, the environment of each Village, and especially to their personalities. The best part of all, treat your little ones in the in beautiful natural surroundings at no extra cost! Visit www.clubmed.com.my or www.facebook.com/clubmed, or call 03-20531888 for more information.